Please forgive me for not addressing you as His Excellency! I feel that you would appreciate my stance since you would realize that addressing a head of state as H.E. Is a hallmark of Executive Presidency! I think you would stand by this principle which you set by not addressing the people from the ‘paththiruppuwa’ as some of the pseudo kings did previously! Mr. President or ‘Honourable’ may be more acceptable. What we all including you should realize is that this was not necessarily a personal victory but a triumph for human rights and against corruption. Some of the votes you got were people who really voted for you, while others were to Ranil/UNP, Anura Kumara & JVP, Rathana/Champika JHU alliance, Fonseka, CBK and the old-guard SLFP, Tamil and Muslim Minorities as well as anti corruption, anti executive Presidency, anti Rajapaksa, pro Human Rights, Pro Women and Children rights groups etc. What I would like to remind you is that without all these groups victory would have been only a daydream against Mahinda‘s charisma, popularity, misuse of state resources, support from China and the corrupt industry moghuls. What most people wanted was to get rid of the dictator and ultimately rid the country of the dictatorial executive presidency! When I asked people who will come to power, a majority said “we want a change”, a minority said Mahinda! some did say Maithripala, and I hope we did not change the pillow to cure the headache! After considering all the alternative persons to lead this battle, the joint opposition decided that you were the most appropriate vehicle to do this. However, I don’t underestimate your capacity to remain in the front seat, provided you drive and manoeuvre (not manipulate nor manipulated) according to the rules! We don’t want you or others to cross double lines as Namal and the sibs always did! We see some dissent by your own people at the outset on your appointments of secretaries, Presidential advisors and heads. They may be the same old wolves in sheep’s clothing! Some with not so great track records! I think you need to get proper advise, not necessarily from the ‘vavulas’ (bats) who may hang around you who have other motives. The bats are a usual problem for heads of state anywhere! These are the ‘yes Sir, No Sir, three bags full guys like Gamini Senerath, etc. Mindfulness of these characters and manoeuvring around them is a sign of maturity! I am sure you will not be mislead as other heads of state anywhere in the world may get trapped into! Apparently, although hearsay, a top newly appointed pro MR official in the Inland Revenue a friend of Gamini Senerath has bragged “….our people are also included”? 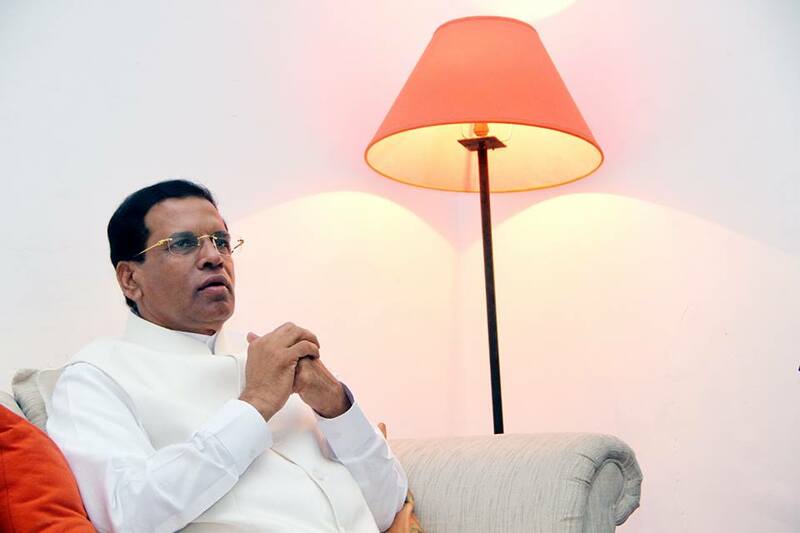 I feel it was great when Maithri stated “Nahi werani werani. ….” ( revenge/ viciousness does not resolve viciousness, Compassion heals these feelings!) However Mr President and Mr Prime Minister please do no mix up revenge with accountability! The two are different entities. i.e. Legal, State or Social accountability including accountability to corruption and impunity cannot be dismissed as Compassion! We want you the new government accountable to the implementation of the law in investigating and prosecuting people who were/are not accountable! There needs to be a paradigm shift in the thinking in those in the government it’s officials, and support staff and the people at large. When the top is corrupt they allow the fry to be corrupt at a smaller scale to keep everyone happy! they And it is useful to keep the “files” to show in the process of blackmail!! The general public too is corrupt including professionals! Why did public servants including some doctors Maithree despised in the Health Ministry get on stages to support MR? Either they were seeking appointments or promotions, maybe they had files to hide as one Trade Union leader or maybe their tax files??? Is that corruption? Are they going to be made accountable? Whoever they are, whether they cross over or not!! We want the new government to start acting against impunity, starting with sharks and whales, and ending with traffic violators whether they be Prado owners, three wheeler drivers or Jay walkers!!! I hardly see three wheel drivers or Jay walkers charged!! Are they not accountable? There are many questions about Sarath Fonseka’s future! Of course his civil status has to be repealed be for any appointments to be given. Some say the President can pardon him? ? If Mr President pardons him there are two implications. The first is SF has to admit he is guilty to get the pardon (why should he if he was innocent? ), The second issue is MS has to use his executive powers, which cannot do and should not do if he is against it!! We the citizens who voted don’t want you to let us down. We are there watching you and creating our own impressions! Mr President, please do not confuse Efficiency in the Public Service with Loyalty to the Previous Regime. Moving Professionals around, is what normally happens with a change of Government. But Professionals who are trained in a particular Field, continue to work efficiently in that Field, whichever Government is in Power! This is really thought provoking !!!!.. Nicely formulated. whether the message would pass to MS – is the question. If anyone could please translate into sinhala and tamil could severve the many. All citizens have a duty to see that the country is run on good governance and anti-corruption. The President must realise that he is expected to be exemplery and of high calibre to uphold the trust placed in him by the citizens.. The Common (Sense) Candidate had an Election Manifesto, Please stick to it. Of course nobody expect him to do all of it. It is the effort he and his team puts into it, and how much is achieved. He achieved the primary objective. Getting rid of the Medamulana MaRa Family dictatorship and cronyism. Please read his election manifesto. Common Sense is a pamphlet written by Thomas Paine in 1775–76 that inspired people in the Thirteen Colonies to declare and fight for independence from Great Britain in the summer of 1776. The pamphlet explained the advantages of and the need for immediate independence in clear, simple language. It was published anonymously on January 10, 1776, at the beginning of the American Revolution and became an immediate sensation. It was sold and distributed widely and read aloud at taverns and meeting places. Washington had it read to all his troops, which at the time had surrounded the British army in Boston. In proportion to the population of the colonies at that time (2.5 million), it had the largest sale and circulation of any book published in American history. As of 2006, it remains the all-time best selling American title. Common Sense presented the American colonists with an argument for freedom from British rule at a time when the question of whether or not to seek independence was the central issue of the day. Paine wrote and reasoned in a style that common people understood. Forgoing the philosophical and Latin references used by Enlightenment era writers, he structured Common Sense as if it were a sermon, and relied on Biblical references to make his case to the people. He connected independence with common dissenting Protestant beliefs as a means to present a distinctly American political identity. Historian Gordon S. Wood described Common Sense as “the most incendiary and popular pamphlet of the entire revolutionary era”. I think the newly elected President got more letters than new year greetings, poor president he did not bank on reading all that in his 100 day objectives. Important thing you missed Mr Percy! The opposition worked hard against Nepotism! We don’t want spouses, children or relatives to fill in the blanks! Private Secretary is the only post I would not grumble about…even that best avoided. Do you mean only Mithree by day and no Mithree by night???? Yes, especially JVP, National liberation Front, to liberate from Medamulamna Mahinda Rajapaksa corruption and Family Dictatorship.